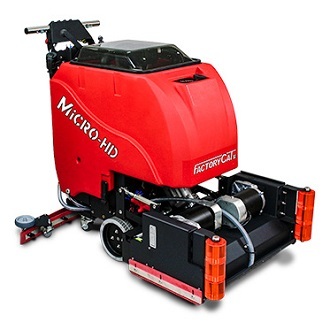 FactoryCat's MICRO-HD Floor Scrubber Dryer is known for its simple design and durable construction, offering unmatched value for the customer. 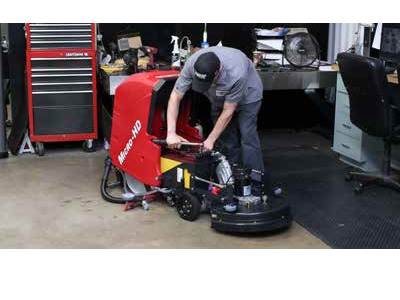 The MICRO-HD Walk Behind Floor Scrubber comes equipped with a Traction drive which includes a powerful all-gear transaxle for climbing ramps and max operator ease or a Pad Assist version. 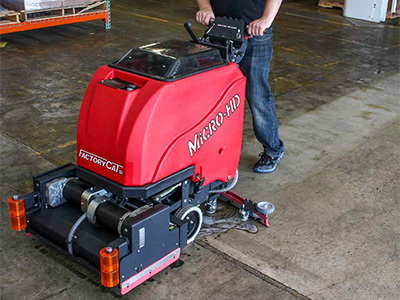 While keeping with the constant durability that FactoryCat machines have to offer, your operators will find the MICRO-HD Floor Scrubber Dryer easy to maneuver into tight areas, and simple to service. The deck is protected by steel guards and large polyurethane rollers to keep the unit from marking walls. 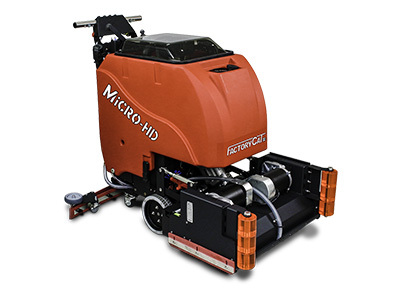 The MICRO-HD Scrubbers are available with Disk & Cylindrical scrub heads. 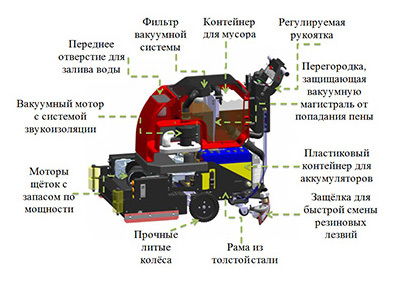 Обратитесь к нам для получения дополнительной информации. © 2009 R.P.S. Corporation. All rights reserved.